Did you know? An estimated 30-50% of trees lost in windstorms fall down because of poor root systems. It’s estimated that up to 90% of trees planted in the last 20-30 years were all planted too deep. This causes girdling roots to grow, and if they haven’t yet, will inevitably kill those trees affected. Are your trees planted too deep? Are their roots girdled? 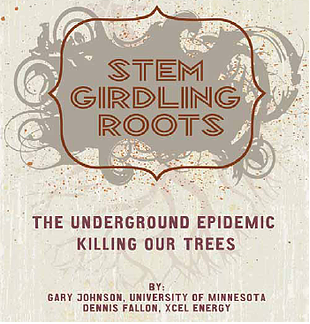 See the article below by University of Minnesota’s Gary Johnson to see more.